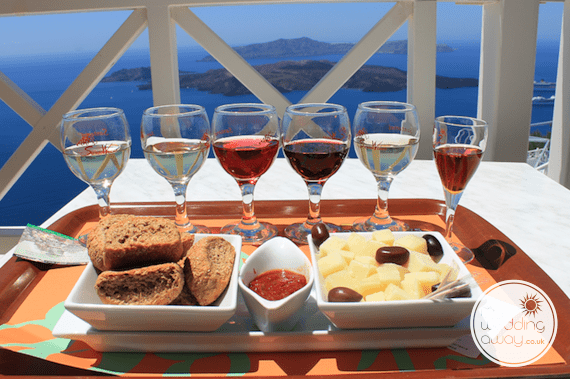 This vineyard in Santorini is one of the most ancient in the world with a 3,500-year history. 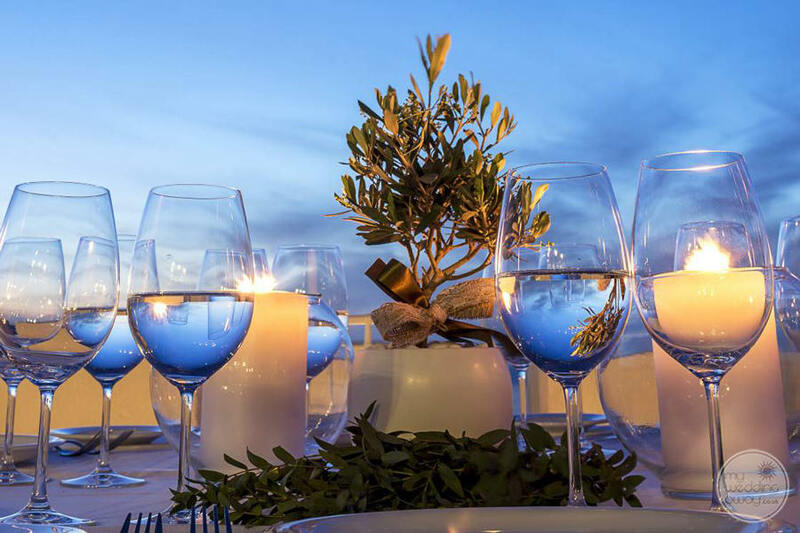 Today, the Santo Winery boasts a ‘World Heritage site’ status and a much sought-after wedding venue. 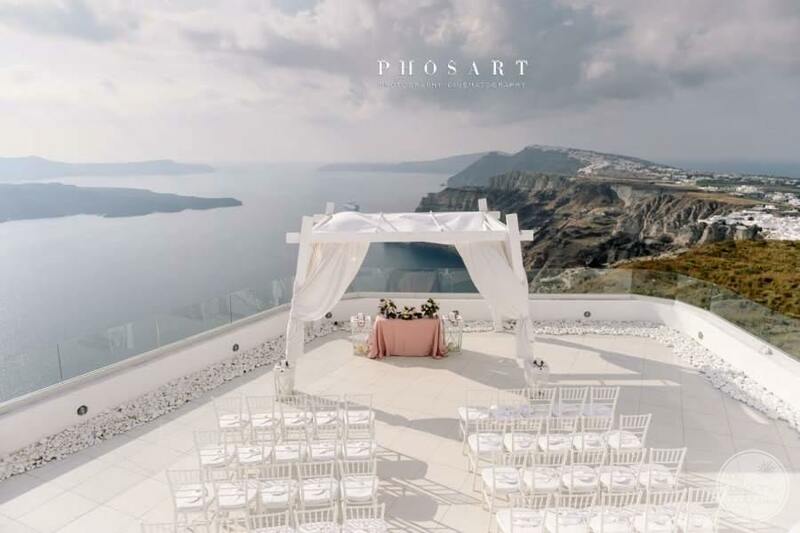 Couples flock from all over the world to marry on Santorini. Mostly, for the romantic whitewashed villages, the warm hospitality of its people and those infamous sunset views. Here, you’ll find this and so much more. 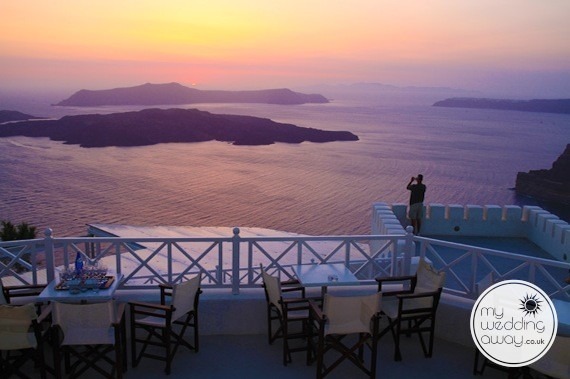 The Santo Winery is located high upon the cliffs overlooking the caldera, the volcano and the Aegean Sea. 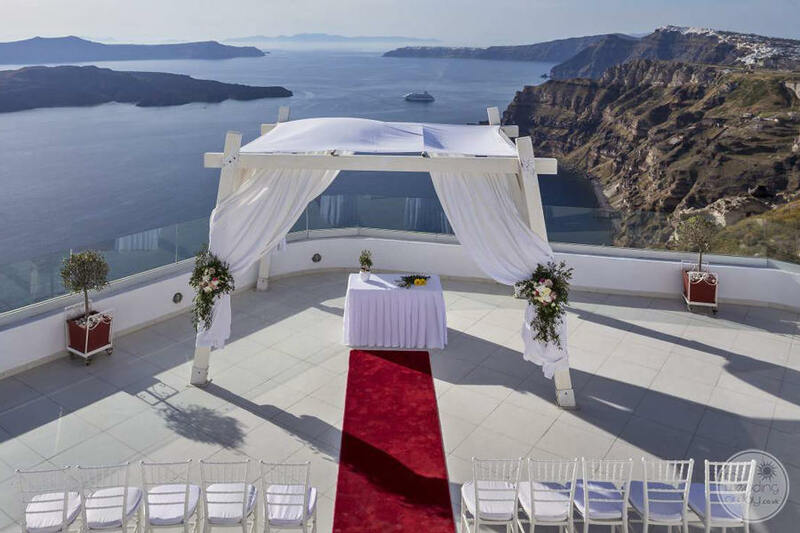 The wedding terrace is unsurprisingly the most popular location for wedding ceremonies. 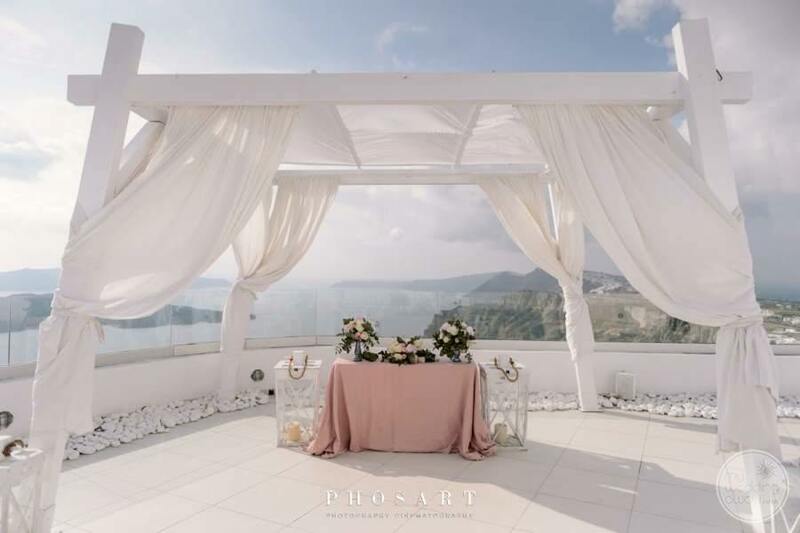 Here, you can exchange your vows surrounded by your loved ones and views that are breath-taking at any time of the day. By day, the sun reflects off the whitewashed architecture and glistens in the waves of the ocean below. As evening draws, the sunset colours wash over the terrace and create an atmosphere that is so incredibly romantic. 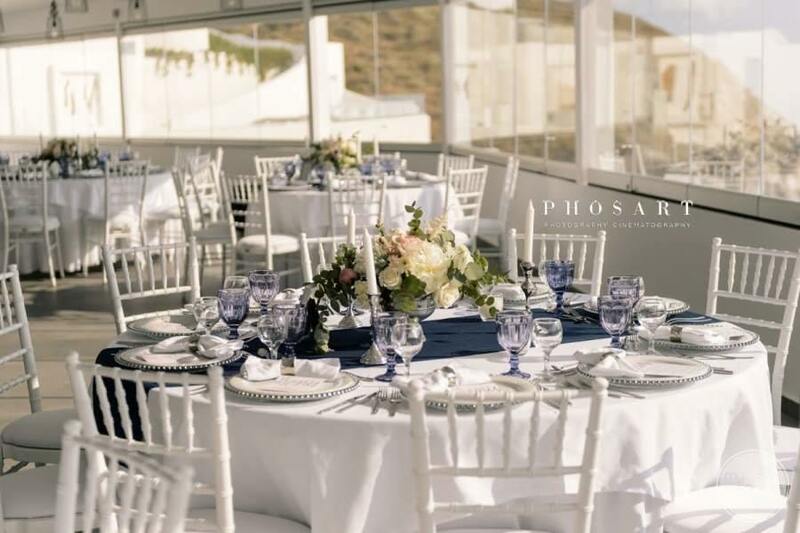 However, should you wish to take your celebrations indoors the Santo Winery offers numerous room options. 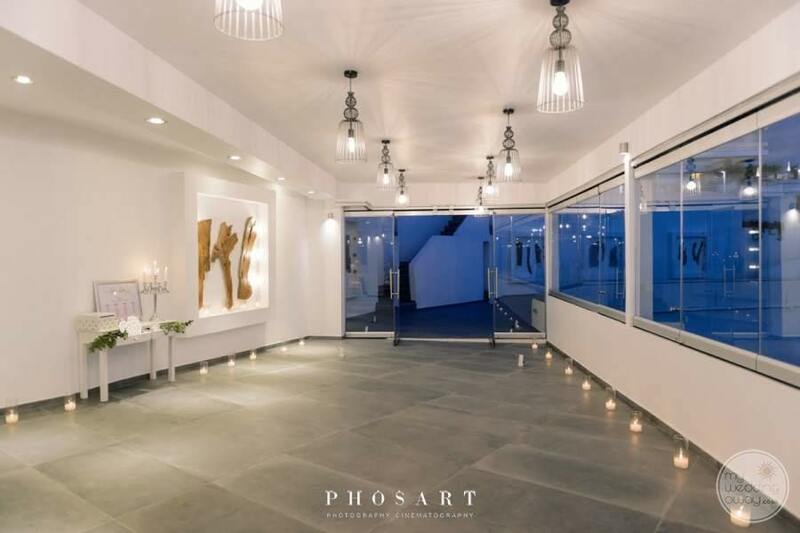 All are elegantly designed and make fabulous spaces for reception parties. 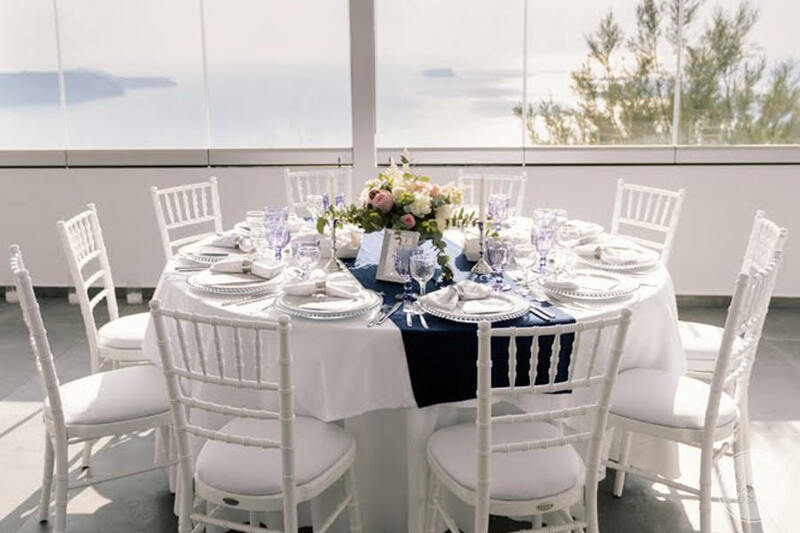 The expert team of wedding professionals here will ensure that your special day is exactly as you have dreamed it to be. 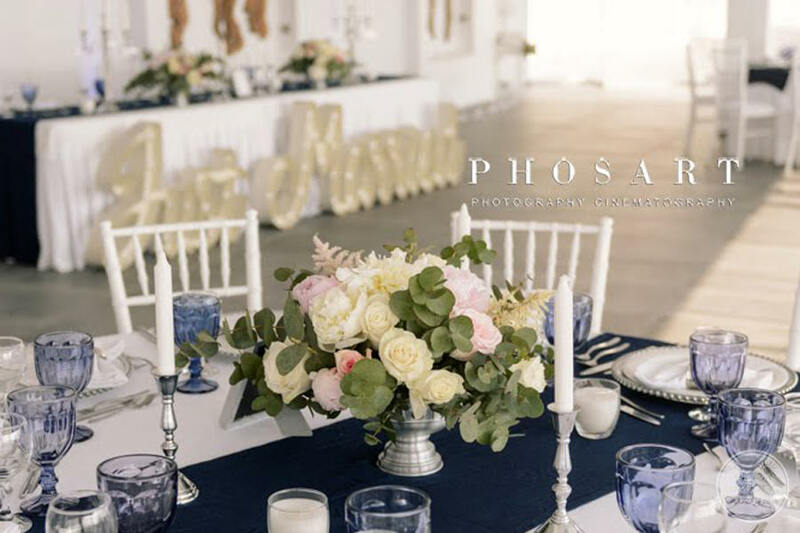 There are a number of wedding packages to choose from but rest assured, an array of wedding extras are available in order to ensure a bespoke experience. 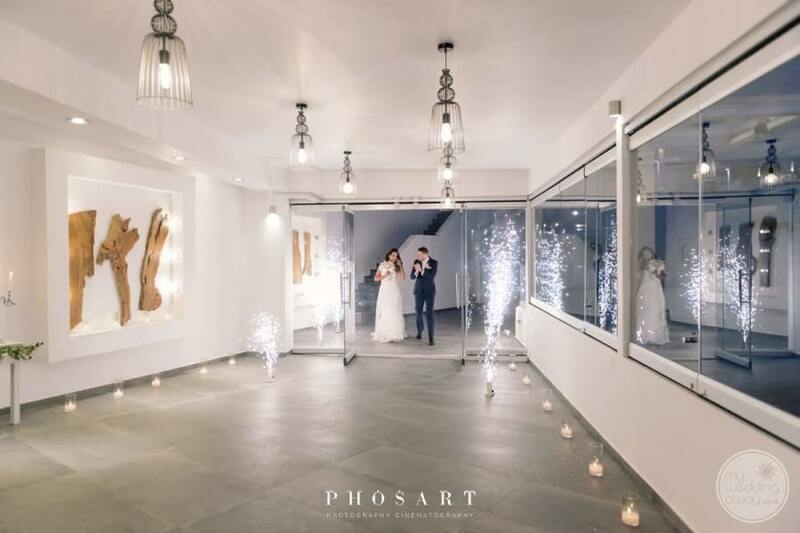 Whether you are looking for a wedding that is small or grand, traditional or modern, simple or lavish… it’s all here at the Santo winery. The Santo Winery is a wedding venue only. As such, we will work with you to arrange accommodation at a nearby resort of your choice.